When I borrowed John Lanchester’s ‘How To Speak Money‘ from the library last month, I was able to make progress on two of my goals in one go. Ok, so technically this book isn’t about personal finance or investing as such but as there’s mention of ‘asset allocation’, Warren Buffett and ETFs among a lot of other interesting and diverse topics that can be linked with personal finance, I’m counting it as part of my goal! The intro talks a little about the history of economics, including human behaviour, capitalism, some politics and other interesting stuff, mostly written in a non-text book style with pop-culture references and bits of humour. There was however also a bit of ‘waffle’ which dragged on a bit, as what I really wanted to get to was the chunky middle section, entitled ‘A Lexicon of Money’. Basically, it’s an A-Z of words, phrases and acronyms which I often hear or read about in financial or money context, words which I sort of know the meaning of but which I would struggle to explain in detail to a complete novice if I had to. I’ll be the first to admit that while I’ve expanded my knowledge a bit on finance related topics these past couple of years, it still doesn’t mean that I totally understand all of it. I might understand it while reading it in a blog or news article. Ask me about it 6 months later and I’ll not be able to explain what it all actually means! I’m not saying that after reading the book, I know everything – I just understand a bit more about implications of say, QE, increasing/decreasing interest rates (and not just relevant to savers) etc and that’s what the book was all about – increasing my understanding of some things I thought I knew a bit about but also learning about new stuff I knew nothing about. All in mostly bite-sized, easily digestible chunks. So now, among some other things, I know the basic difference between ‘fiscal‘ and ‘monetary‘ and what the IMF does but my favourite new word? All in all, an interesting book, one that I’m likely to revisit just for future reference. Anyway, hope you all have a great (long. for those in the UK) weekend. This entry was posted in Books by weenie. Bookmark the permalink. Fungible = v. to have fun while fudging something. Thanks – I’ve been thinking of how I can introduce it into normal conversation, haha! John Lanchester’s book about the 2008 financial crash “Whoops; Why Everyone Owes and No One Can Pay” is one of the best books about the whole scandal. Makes your blood boil while still managing to keep you entertained. It’s on my to-read list, Jim. I’ve seen the film ‘The Big Short’ so can imagine that this book will also leave me gobsmacked at what went on during the scandal. I know what you mean regarding terms. I feel the meaning, rather than being able to express it in words. I would totally count it toward your goal, because it is supporting your understanding of the financial books that you do end up reading. Also, we get an education. Now say it three times fast – fungible, fungible, fungible! Yes, that book definitely fits both goals! I recently read “Whoops”, really liked his way of writing and explaining. 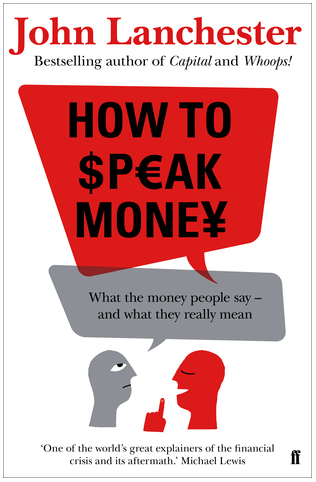 “How to speak money” sounds very good, I might just pop into the library next week or see whether they have the ebook. When I read your post, I didn’t notice that the footnote was a link and went straight to an online dictionary because I thought what a queer English word fungible was. Turns out it’s a proper legal term in German as well and has nothing to do with fungi… :-D.
Hi Weenie, Fungible is one of the best words ever!! I know money is fungible and yet I still can’t stop mental accounting. Another word I like: autumnal; don’t know why. To help you on your quest of discovering the meaning of words – how about this book for your reading list? Thanks for reminding me of this book. It’s not in my local library but I think I can read bits of it from his website Jason’s website. Thanks W. Needed another book to read. Cheers DFG – hope you enjoy the read. Sounds like a good book weenie! Love fungible! I will attempt to use it in conversation from now on haha. That’s the problem with a lot of these terms – I reckon having read the book, I’ve forgotten loads already, although I do still remember fiscal and monetary! Just got notification from the library that Lanchester’s ‘Whoops’ book is ready for me to collect, so it looks like I’ll read that one next, as recommended by others above. I’ll stick whoops on my ever increasing reading list. And really want to see the big short as well.